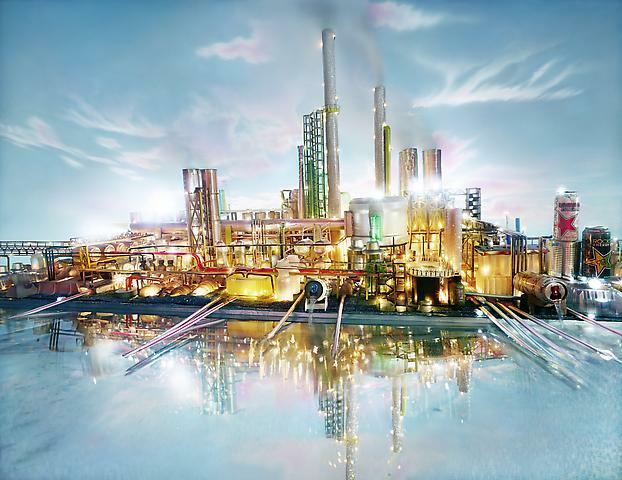 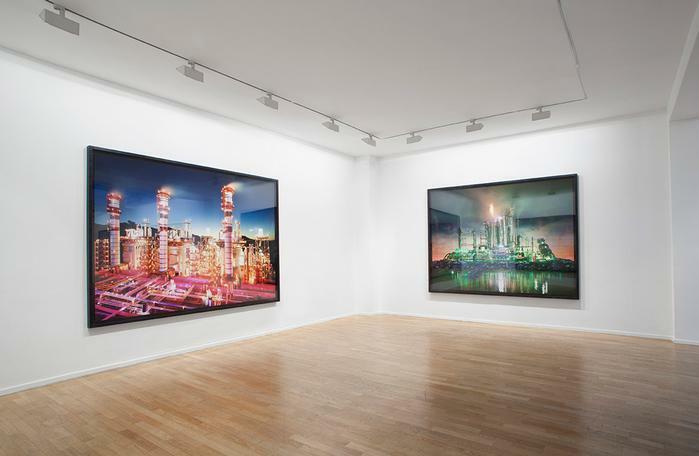 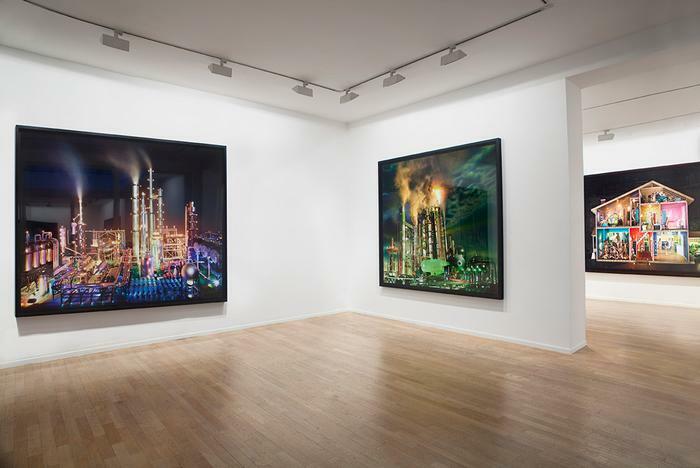 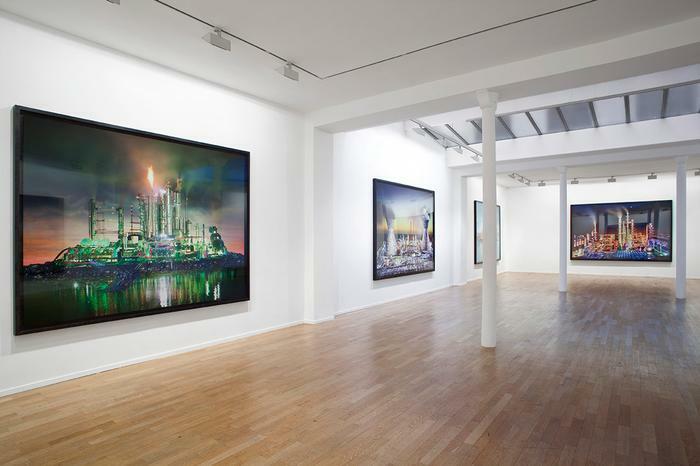 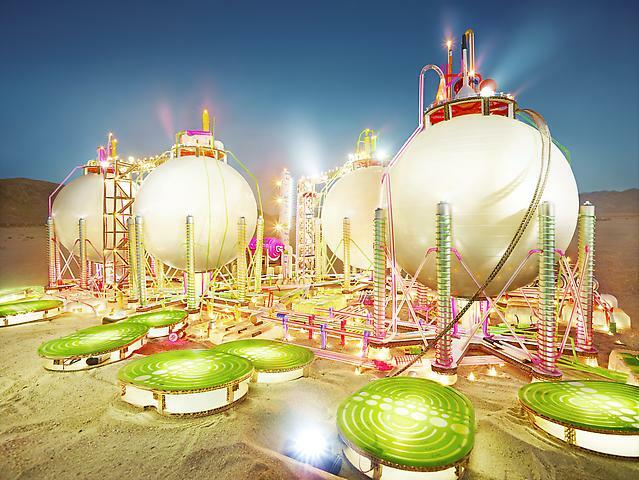 American photographer David LaChapelle is returning to Galerie Daniel Templon with a striking exhibition centering on industrial landscapes. 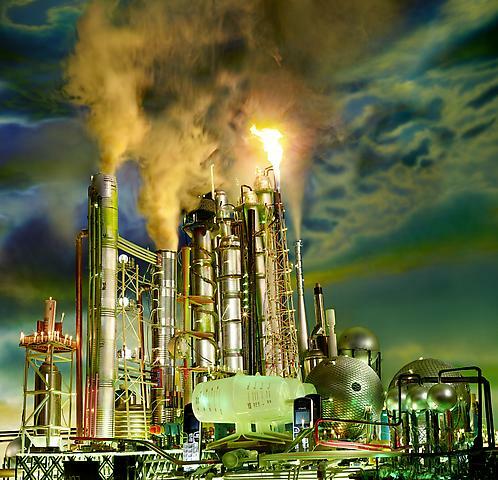 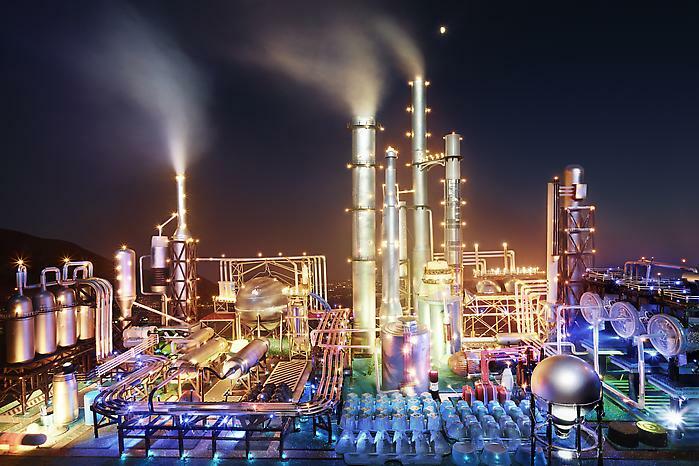 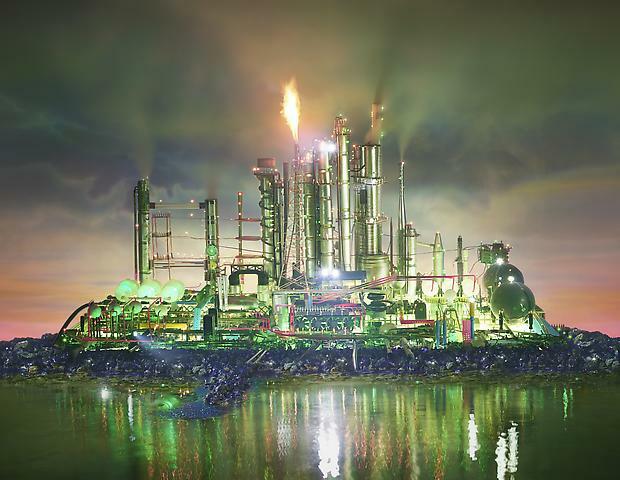 Known internationally for his thought-provoking images, LaChapelle’s newest series LAND SCAPE uses hand-crafted scale models to explore the infrastructure of oil production and distribution, illustrating the impact it has on modern society. 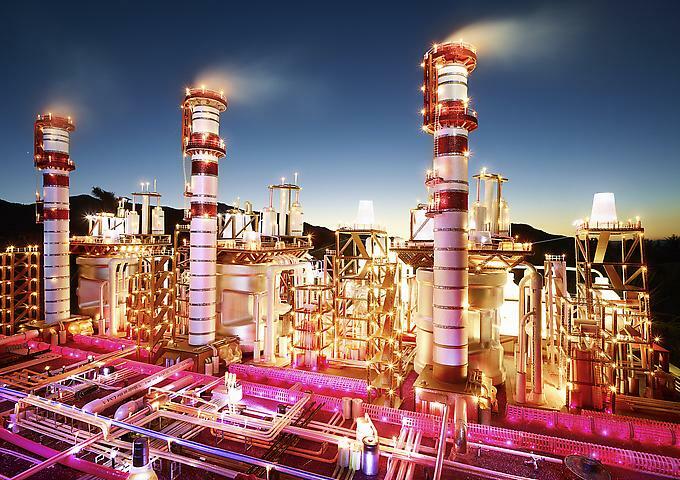 Photographed in the expansive deserts and along the coastlines of California, the stunning Refineries are shrines to the product and the lifestyle it makes possible. 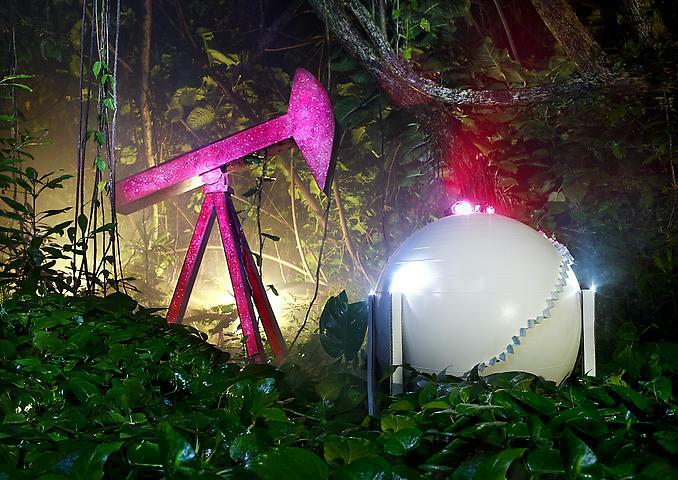 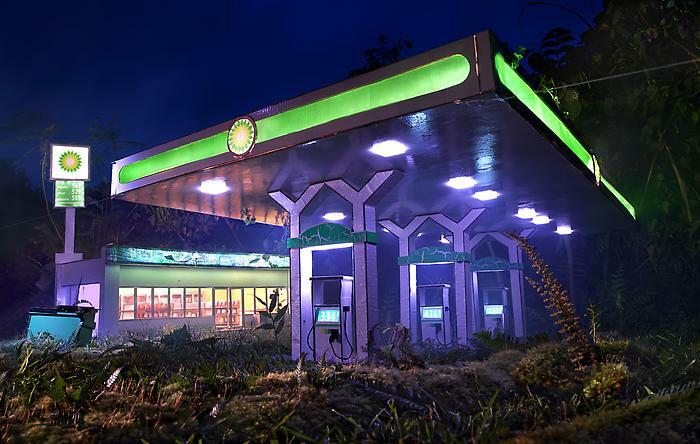 The underside of these captivating settings – made up of repurposed by-products bathed in an ethereal light – offers a vision of the unmagical consequences of the petroleum-dependent system. 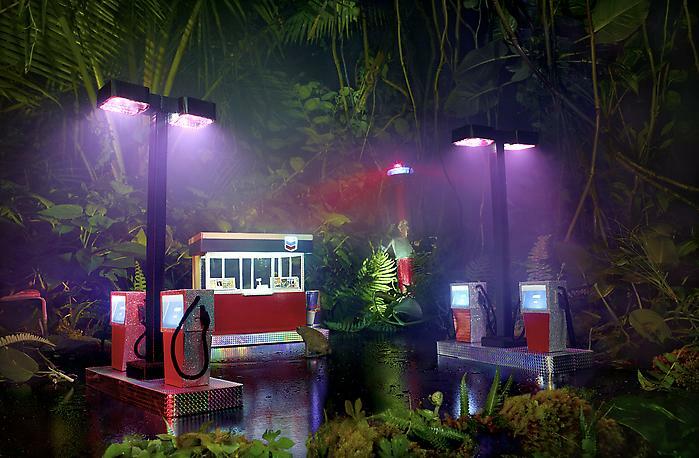 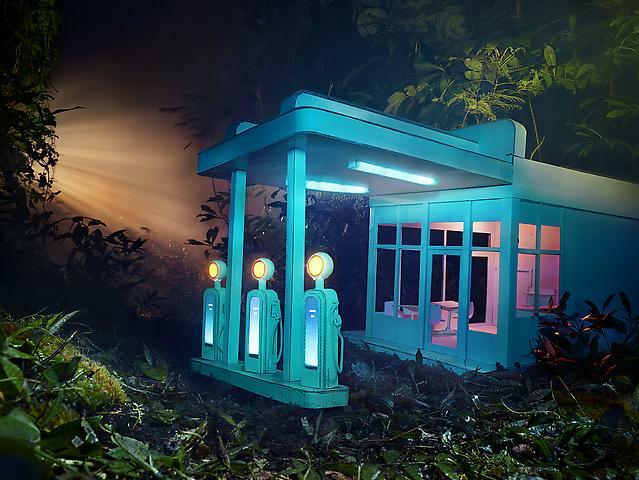 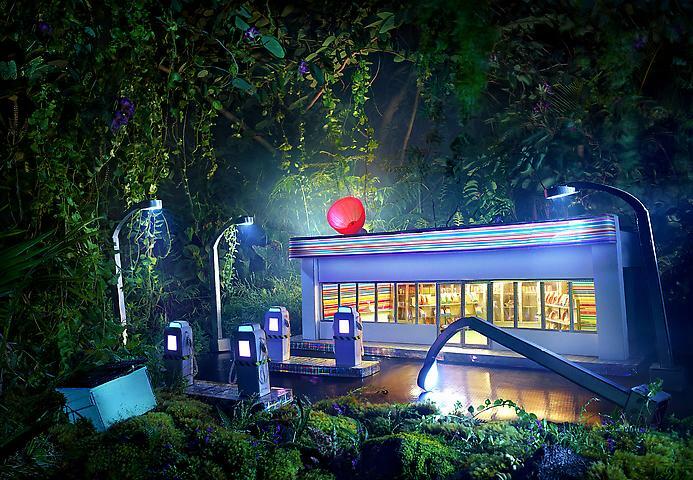 In the Gas Station series, fueling stations are enveloped by the lush vegetation of Maui (Hawaii). 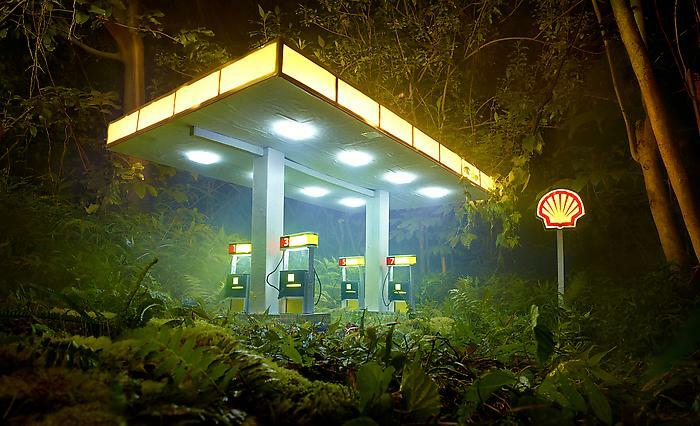 The rain forest acts as an organic force both generative and destructive; the source of fossil fuels, it also has the power to re-engulf these man-made creations. 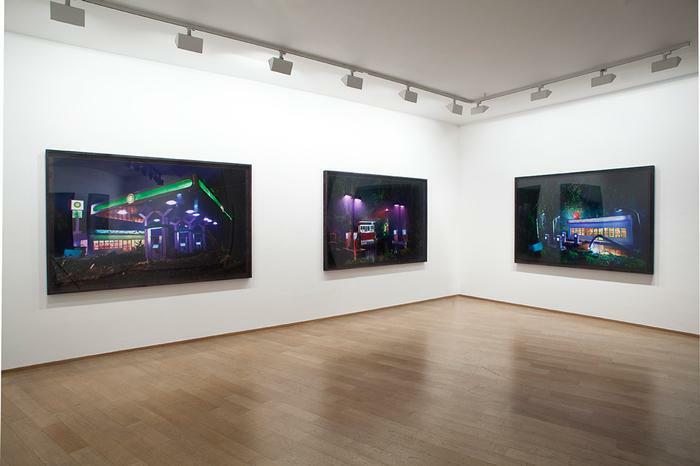 Their eerie lighting and composition suggest art-historical influences from Edward Hopper to Ed Ruscha. 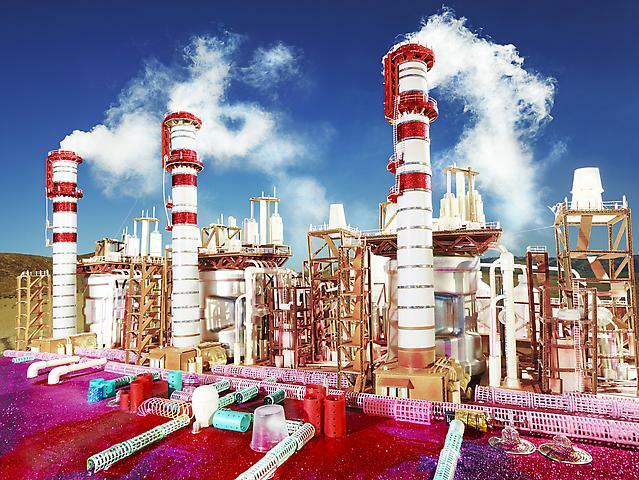 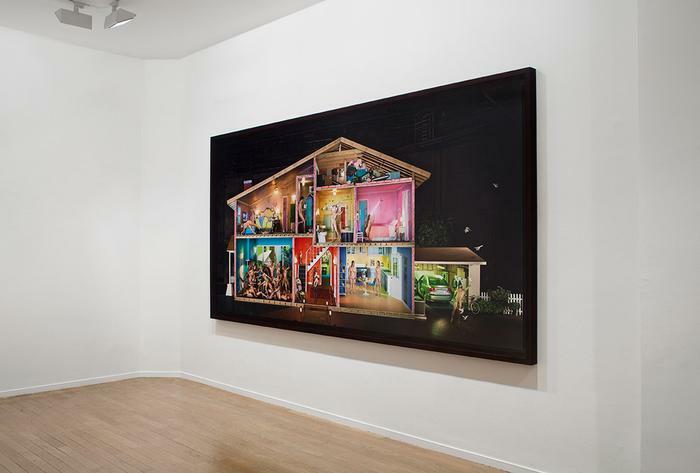 David LaChapelle combines popular references with art history, street culture with the metaphysical, to project a fascinating allegory of twenty-first century culture. 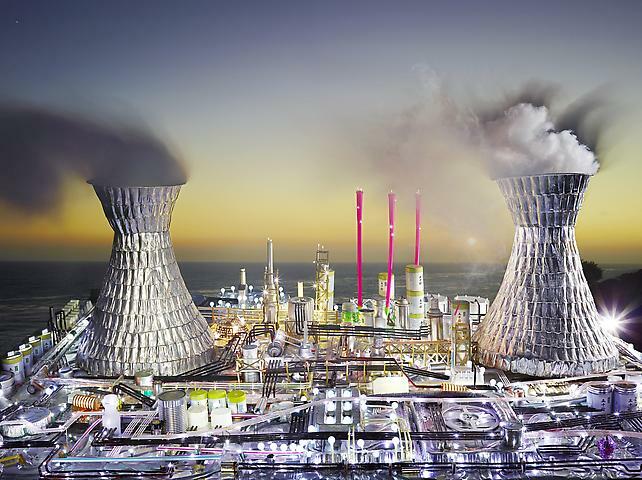 Over the course of his 30+ year career, he has been one of the most widely published photographers. 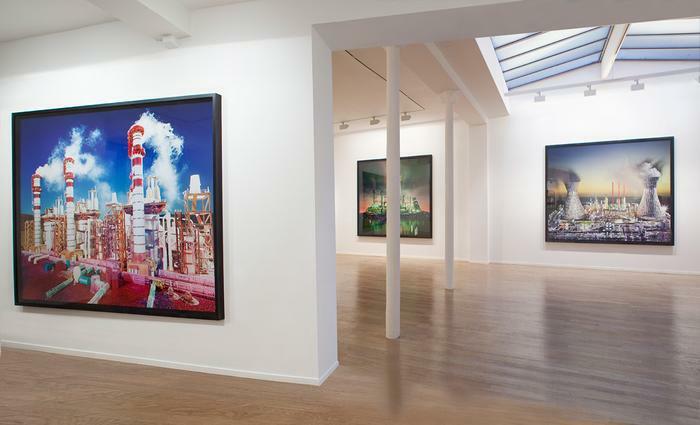 Over the last few years, his work has been displayed in numerous solo exhibitions, including at the Barbican Museum in London (2002), Palazzo Reale in Milan (2007), Musée de La Monnaie in Paris (2009) and Tel Aviv Museum of Art in Israel (2010), which named him artist of the year in 2011. 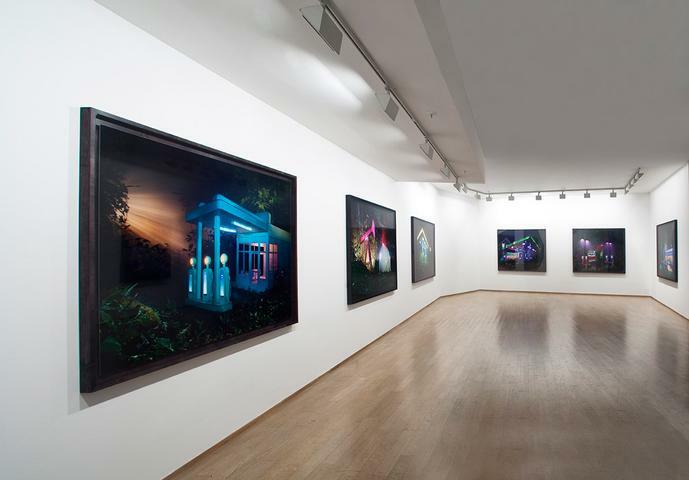 His work has also been the subject of a number of major retrospectives, at the Museum of Contemporary Art Taipei (2010), Hangaram Museum in Korea (2012), Galerie Rudolfinum in Prague (2011/2012) and Fotografiska Museet in Stockholm (2012). 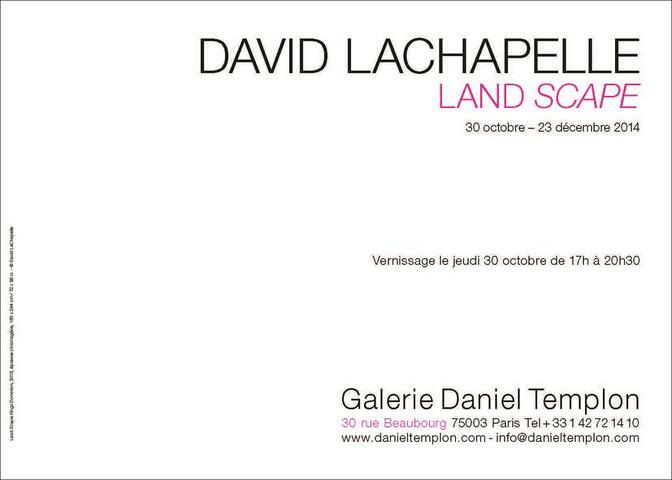 In 2014, he took part in the Masculin-Masculin exhibition at the Musée d’Orsay in Paris. 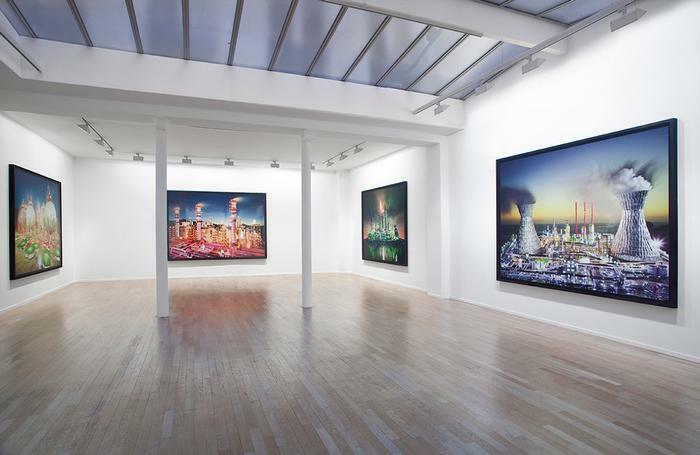 His work features in a number of international collections at art institutions including the Los Angeles County Museum of Art, National Portrait Gallery in London and National Portrait Gallery in Washington DC.